Time and time again, we find ourselves falling into love with little regard for what we might be falling into. As much as we’d like to cover ourselves in bubble wrap, the need to protect oneself tends to be an afterthought. We keep falling and the injuries are sometimes no more visible. That’s the tragedy of heartbreak. Whether our heart is broken or if we are the heart-breaker, it’s all the same = painful! 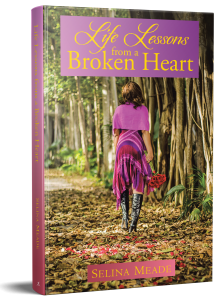 Join me on this journey of heartbreak, self-discovery and empowerment. My debut book is a series of daily reflections that are both personal and observational from the lives of others. Written in a conversational tone, weaved with influences from popular culture and my faith, this easy-to-read book will challenge you to evaluate your part in being involved in unhealthy attachments and ineffective relationships. Are you repeating the same cycle of insanity? Falling into one relationship after another, just wanting to be loved. This book will help you to initiate the due-diligence needed. You will soon recognize what part you are playing in this production called “Heartbreak”. Living as room-mates, lost the spark and can’t remember what was the glue that held you together. Strengthen your commitment to one another by taking the time to review the past of what brought you together and how to move forward. It won’t be easy but these moments of honesty will set a stronger foundation and a hopeful shared connection. Committed to Christ but still desire the affections of a special someone. This book will help remind you that denials and closed doors are truly GOD’s protection of you. Stay faithful as he shapes your desires to be his desires. You are a work-in-progress but learning from your past disappointments. With this book, you will give yourself homecourt advantage as you spring-forward into healthy attachments. Being widowed or divorced has a way of thrusting you back into the single life whether you desire to be or not. A lot has changed and you’ve been out of the dating game for quite some time. The good news is that the basics are still the same. This book will be a refresher in helping you to navigate this new-found stage of your life. Footloose and fancy-free……until your heart can’t take no more. We’ve all been there and all I can do is to encourage you to enjoy this read and hopefully, it will cause you to think and bubble-wrap your heart. You may not appreciate it the first time but it can be a good go-to guide to refer back to, as you grow in age, maturity and love. You’ve just polished off the last carton of Ben and Jerry’s, there’s no more tissues and your face is swollen from hours of ugly crying. Now you are ready, let’s dig-deep together to review, reflect and help move you forward into a better tomorrow.